Q. Can I find Open Access content in Library Search? 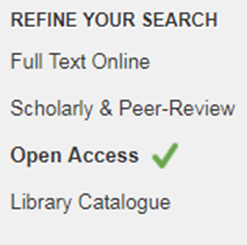 More Open Access results can sometimes be found by selecting the Add results beyond your library's collection option at the top of the results screen. If you are using Library Search to look for Open Access material and do not have a Manchester Met log in, you may need to search for the article title in Google or Google Scholar in order to access the open version. 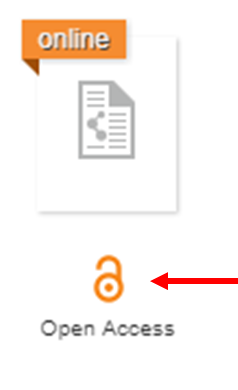 Library Search will sometimes direct you to the Manchester Met eResources log in screen for Open Access material, if it is hosted on a platform we subscribe to eg ScienceDirect.